I love this time of year for so many reasons; one of which is the excuse to bake, even more so than usual. I thought I'd share our favorite recipe for baking, as well as some other yummy things we've been gorging on lately. 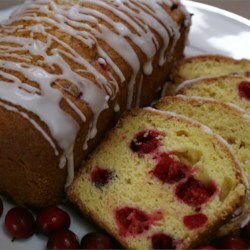 Our holiday essentials always include cranberry orange bread. It's a recipe that my husband's grandmother used to make and is very similar to this one, although I wouldn't touch margarine with a ten foot pole and we use walnuts. Bake until top of loaf is golden brown and a toothpick inserted in the center comes out clean, 50-55 minutes. Let stand in the pan for 10 minutes, then unmold onto a wire rack and let cool completely. 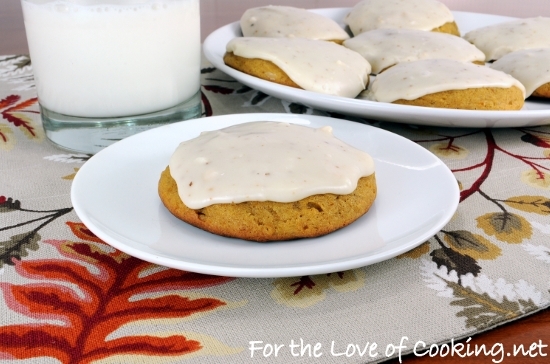 And these are sooooooooo good, from For the Love of Cooking: pumpkin cookies with browned butter icing. I like to have this one with my coffee, I'm actually eating some right now... It's an old Cooking Light recipe: autumn apple cake. 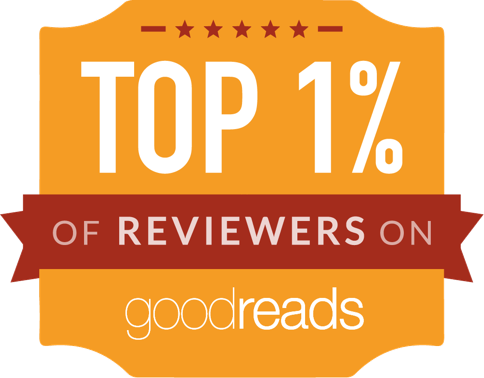 Now I just have to tackle the other 200+ recipes of sweet nothings I have on Pinterest... Tried any of these? Any must have recipe to share? I'm itching to try this and this soon! My oven has been broken since right before Thanksgiving, and it's been difficult since holidays = baking to me. I've borrowed a few friends' ovens, but mine is finally supposed to be fixed today. I am slowly but surely making my way through my Pinterest recipes. A few of them are culinary challenges that will have to wait for the right occasion. I made some lemon bars from a recipe on Pinterest this past weekend, and they were amazing.